Gute Frage: Wie geht Puppenmachen in der Türkei? 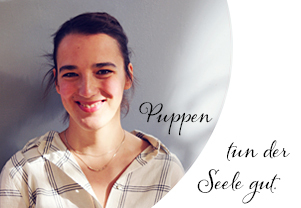 Es gibt so viele spannende Fragen rund um Puppen/macherei. Diese Blogreihe soll (zumindest ein paar) Antworten geben. Dieses Mal mit Oya Akinci von Waldorfia Hago aus Izmir, die nicht nur selbst Puppen näht, sondern auch auch eine wachsende Gemeinschaft von Liebhaberinnen für Waldorfpuppen mit Bastelmaterial versorgt. „Waldorf doll enthusiasts in Turkey have met with Waldorf doll-making about ten years ago. 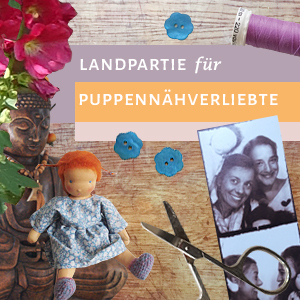 The first Waldorf doll-makers learned about Waldorf doll-making over social media from abroad. Be it pinterest pictures, instagram posts, or Youtube videos, Waldorf enthusiasts in our country have gained knowledge about the details of Waldorf doll-making from the web. As of today it is estimated that more than a hundred hobbyists have tried Waldorf doll-making at least once. There are tens of active doll-makers who either sell their dolls over the web, or make custom dolls (e.g. nesbb collection, Petite Daphne Dolls and Banu Kurt). Some doll-makers only make dolls for charity as gifts to needy children or for supporting scholarships of needy students. In every one of the major cities in Turkey, several dollmakers teach Waldorf doll-making through workshop classes. Resources for training have been mostly created abroad, therefore access has been limited only to those who speak English well. There are efforts for building resources in Turkish so that the secrets of Waldorf doll-making will be revealed to every enthusiast. Another one of the biggest challenges for Waldorf doll-makers in Turkey has been being able to find sufficient amount and variety of doll-making supplies at a desired level of quality. For example, many doll-makers were able to find some type and specification of wool fiber for filling, but not the most appropriate material to meet their needs. As of today, suppliers have learned more about the specific features of materials for Waldorf doll making, turning the challenge of finding the best local material into an ease. Research has been made for finding the most suitable materials for Waldorf doll-making. One doll-maker has put effort into achieving the best fabric skin and today any Waldorf doll-maker can easily access this material. Similarly, there are other doll-makers such as our team at Hago who specifically work on creating the best doll supplies for Waldorf doll-makers. With a growing number of doll-makers, doll sellers, workshops and appropriate materials, Waldorf-doll making is getting more and more popular every day in Turkey. Vielen Dank für diesen Einblick und herzliche Grüße zurück, liebe Oya, an dich und alle Puppenmacherinnen in der Türkei.